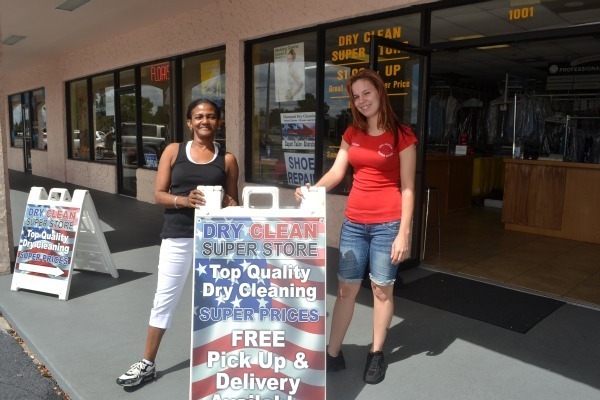 We opened in 2000 with the mission of being not only the best value based Dry Cleaners in the Orlando Area, but the best Dry Cleaners period. We've achieved our goal and are now proudly serving many repeat customers. Our customers look to us for great quality and incredible service. We strive to deliver on these expectations every time. We believe that your satisfaction should be guaranteed. If you are dissatisfied, let us know and we will fix it. We care about your clothes and will provide top quality cleaning! Our employees average 20 plus years experience in Dry Cleaning and Commercial Laundry business - they are Industry Professionals.